An Egyptian Salafist group warned that eating tomatoes are "forbidden because they are Christian." An Egyptian Salafist group appears to be trying to retract a post on Facebook that warned that eating tomatoes are "forbidden because they are Christian." 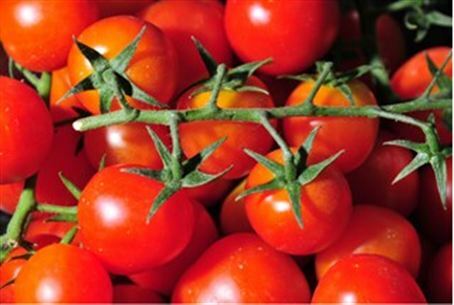 The Muslim traditionalist group, calling themselves the Popular Egyptian Islamic Association, claims that tomatoes are offensive if they are cut in such a way that reveals the shape of a cross, according to the Now Lebanon website. "Eating tomatoes is forbidden because they are Christian,” the group posted on its Facebook page, along with of a photo of tomato cut in half to reveal what could be interpreted as a cross. "[God help us]. I implore you to spread this photo because there is a sister from Palestine who saw the prophet of Allah [Mohammad] in a vision and he was crying, warning his nation against eating them [tomatoes]. If you don't spread this [message], know that it is the devil who stopped you," according to a translation by Now Lebanon. "We didn't say you can't eat tomatoes. We said don't cut it in [such a way that reveals] the cross shape," the associated said after more than 2,700 comments were left by outraged readers. While many of the comments made on the Facebook post were not suitable for re-publishing, one blogger joked, "Warning! Your salad could be making you into an Infidel!" There is an estimated 5-6 million Salafis in Egypt. The Salafis are generally considered to be more traditional than other Muslim sects. Last year, a group of hardline Muslims, including Salafis, were responsible for the burning of several Christian churches and businesses in Egypt that later resulted in hundreds of deaths during demonstrations against the destruction, The Christian Post reported. A writer for The Blaze categorized most news coming out of the Middle East as "intriguing, bizarre and unceasingly concerning," but said the forbidden tomatoes story "actually crosses into a comical sphere."